Maybe not, but liquid lipsticks have for sure been my latest obsession. I love trying new ones – new formulas, new brands… I need to try them all, and report back obviously. 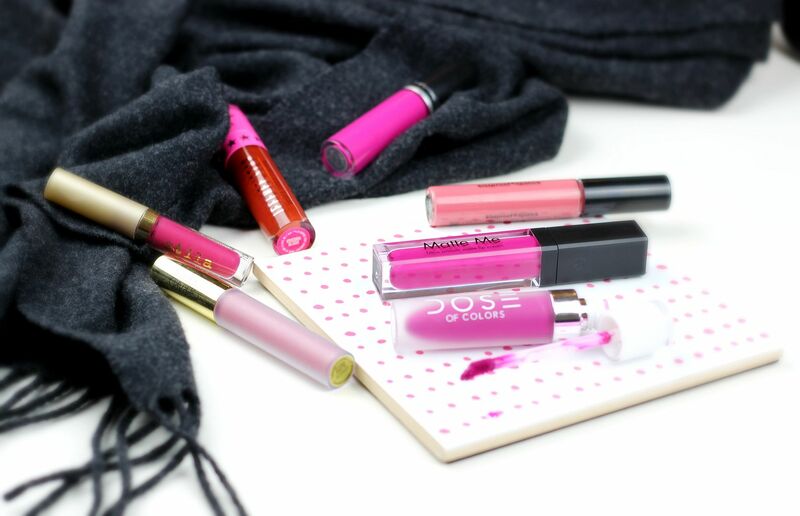 If you want a matte lipstick that does not come off and needs minimal maintenance, then liquid lipsticks are the one. Since my last post all about them I’ve discovered some really impressive new ones – yes, my lips have been dry but is has been more than worth it. The best known ones are probably the MAC retro matte ones – I have three, and you can see my full post on those here. These ones are vibrant, have a mousse-like texture and the applicator is really easy to use. I’ve heard that lots of people hate the packaging, but I think it’s so cute! Another mousse-like one is the Stila stay all day lipsticks – my picks are aria and patina (although I have my eye on baci). 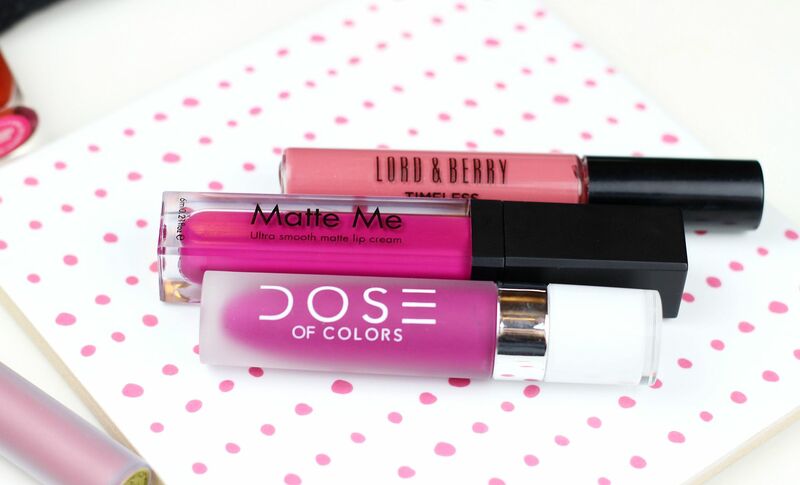 I would recommend these ones as an introduction into liquid lipsticks, or if you’ve never tried one before because they straddle (lol) the perfect line between long-wearing and comfortable. My top pick for longevity would be the Lord and Berry timeless lipsticks, especially in the shade Muse. I apply it before I go to work and it still looks the exact same when I get home and it doesn’t ever feel uncomfortable at all. I don’t know how, but it’s incredible. Muse is the nicest dusky/mauvey pink shade that people actually compliment me on, so good! My pick from the drugstore would be the Sleek Matte Me lip colour – especially the shade Fandango purple. They are the best on the high street and give you change from a fiver. Happy days. The applicator is a little too rigid, but the formula is spot on and they settle down in seconds to a super matte finish. 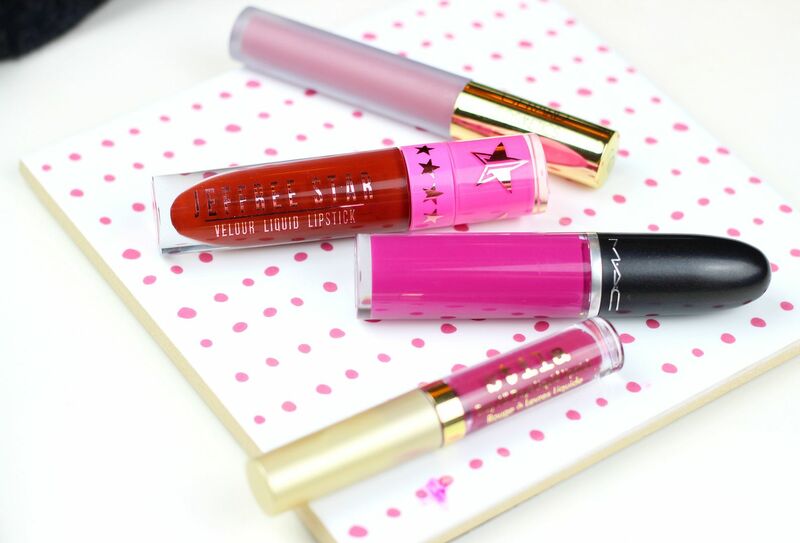 It seems that a lot of amazing liquid lipstick come from across the sea – Jeffree Star, Gerard Cosmetics and Dose of Colours are ones I lusted over whilst watching american youtubers, but now they’re relatively easy to get hold of. My favourite is the Jeffree Star, because omg so good. My picks would be Androgyny, Redrum and Unicorn blood. The most insanely pigmented formula, and pretty comfortable on. Similarly comfortable, the Gerard cosmetics Hydra matte liquid lipsticks are really nice to wear… for the first 6 hours or so. Then, they need severe lip balm or maintenance or they’ll flake off. I also find that the colour tends to get darker the more you wear them – like oxidising? The most drying is the Dose of Colours. They go on so creamily, but do dry down a lot. Equally though, they do stay essentially perfect until you take them off. If you liked this post you might like this post on Kat Von D liquid lipsticks or this post on perfectly pink lipsticks. Hourglass Ambient Strobe Lighting powder: Iridescent light.